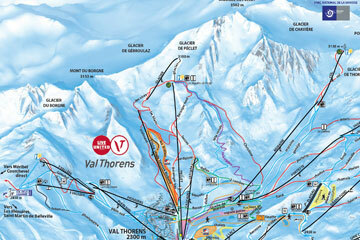 Looking for Val Thorens mountain restaurants? Feed your hunger with our Val Thorens mountain restaurants recommendations. We know that eating plays a big part of your ski holiday – after a long morning or day of skiing, there is nothing better than sitting down to a well-earned meal, whether that be a traditional French dish or simply a satisfying pizza. We have put together a list of the restaurants that we think are worth paying a visit. 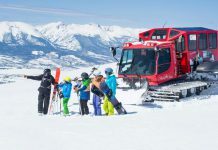 If you are staying in one of the Hotels in Val Thorens which features an in-house restaurant, take some time to sample the delights on the mountains for a different experience and sample a wide range of food. 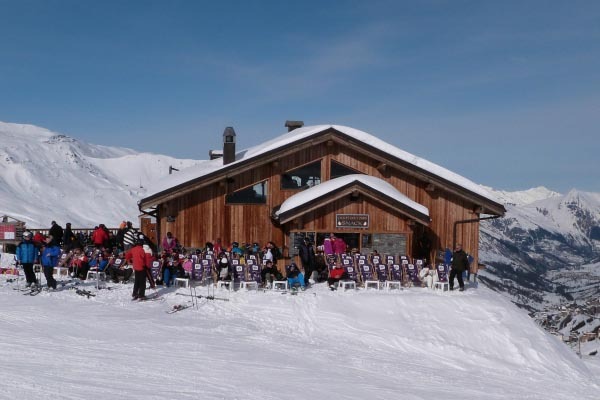 Situated close to Val Thorens on the Dalles piste, this restaurant offers diners the choice between a traditional restaurant and self-service bistro. 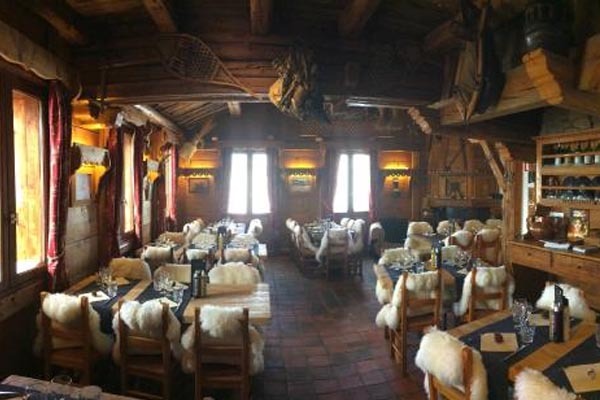 The traditional restaurant serves gastronomic French cuisine as well as local specialities in cosy Savoyard chalet surroundings, complete with log fire. The fabulous food can also be enjoyed on the terrace which provides exceptional panoramic views of the mountains. 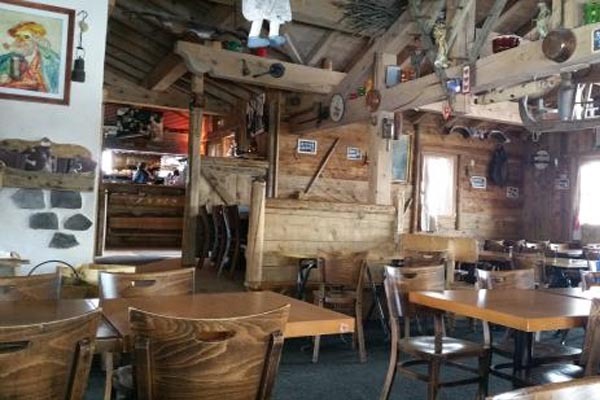 In the lower part of the chalet, you can enjoy the simpler but nonetheless good quality dishes that the self-service restaurant has to offer – the pizzas are well renowned! 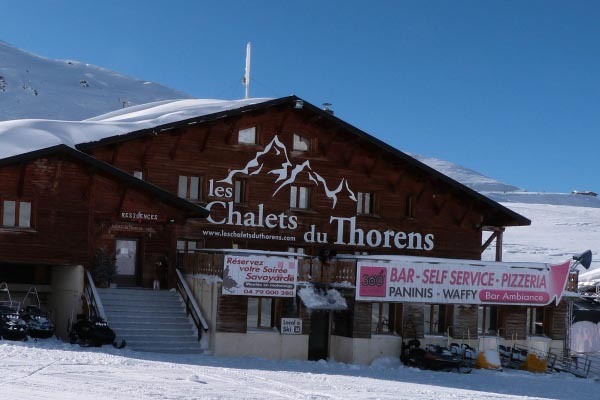 Les Chalets du Thorens is a friendly and welcoming restaurant perfectly located on the piste on the ski down to Val Thorens. They offer a broad selection of dishes including pizzas, Savoyard specialities, waffles, pasta, snacks and even sushi! You can choose from the restaurant of the self-service area. 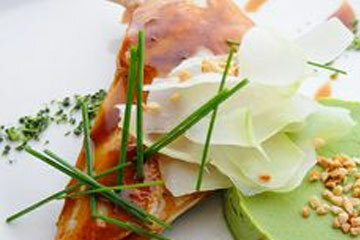 There is something for everyone, whether you are looking for a quick bite to eat or for a long leisurely lunch. Located on the Blanchot run in the Boismint sectors. The restaurant has a beautiful sun terrace with excellent views, where you can bask in the sun whilst you enjoy your leisurely lunch or quick snack. It does tend to get rather busy on days when the sun is shining, so it is worth booking a table. 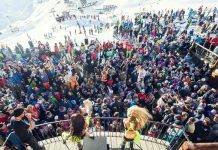 Known for a being one of the best slopeside restaurants in Val Thorens, Chalet des 2 Lacs is located at the top of the 2 Lacs chairlift, making it easily accessible to all levels of skier. 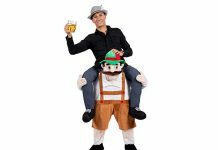 It is a pretty chalet-style building with a huge sun terrace, which has panoramic views of the valley. They serve excellent hearty cuisine in generous portions; their menu includes a selection of pizzas, steaks, tartiflette and fondues. 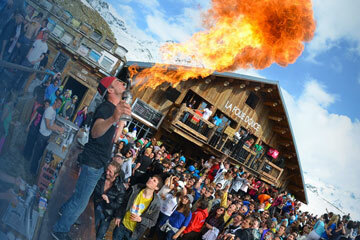 We hope you found The Best Val Thorens Mountain Restaurants post helpful. 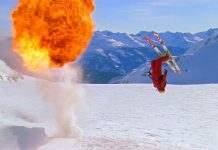 Discover the best ski runs, best places to stay and key information about Val Thorens Resort here. 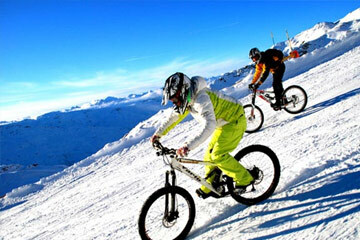 Search Now For Your Val Thorens Accommodation!